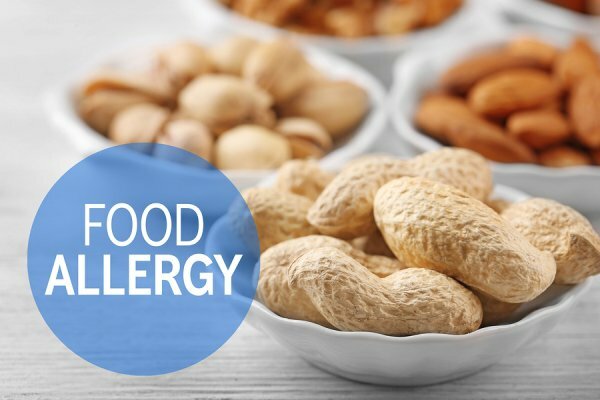 It is possible for some patients to outgrow food allergies, even if allergy skin testing and blood tests remain positive. To find out if you have outgrown a food allergy, your allergy doctor may recommend that you undergo an oral food challenge. During an oral food challenge, you will consume the food under the watchful supervision of your allergy specialist to check whether a reaction will occur. Before deciding to go ahead with the oral food challenge, discuss the potential benefits and risks with your allergy doctor. If you have indeed outgrown your food allergy, then this test can allow you to expand your diet, which can certainly make it easier for you to prepare healthy meals. Of course, there is always the risk that an allergic reaction will occur. Your allergy doctor will be there to respond immediately if you show any symptoms. Prior to the oral food challenge, you should discuss your current medications with your doctor. You may need to temporarily stop taking certain medicines, such as antihistamines. It’s important to note that if you experience an allergic reaction or an asthma attack, you should use your medications as usual. You can always postpone the test. On the day of the test, your doctor might ask that you arrive at the office with an empty stomach or that you consume only a light meal. The doctor will check your vital signs before instructing you to consume a small serving of the food. You’ll be closely monitored for signs of a reaction for the next 15 to 30 minutes. If no reaction occurs, you’ll be given a slightly larger amount of food. This will continue until you are able to consume a meal-sized portion of the food. If you display any symptoms, the test will immediately cease and the doctor will administer medications. Usually, when symptoms appear, they are mild because only a small amount of the food is initially given. If you do not have symptoms, your doctor may instruct you to regularly incorporate the food into your diet. Allergy & Asthma Specialists℠ can conduct oral food challenges in our office or in a hospital setting. To discuss whether an oral food challenge may be appropriate for you or your child, you can speak with one of our allergists in Philadelphia, Blue Bell, King of Prussia, Jenkintown, Doylestown, Lansdale, Pottstown, or Collegeville, Pennsylvania. You can reach us at 1(800)86-COUGH.